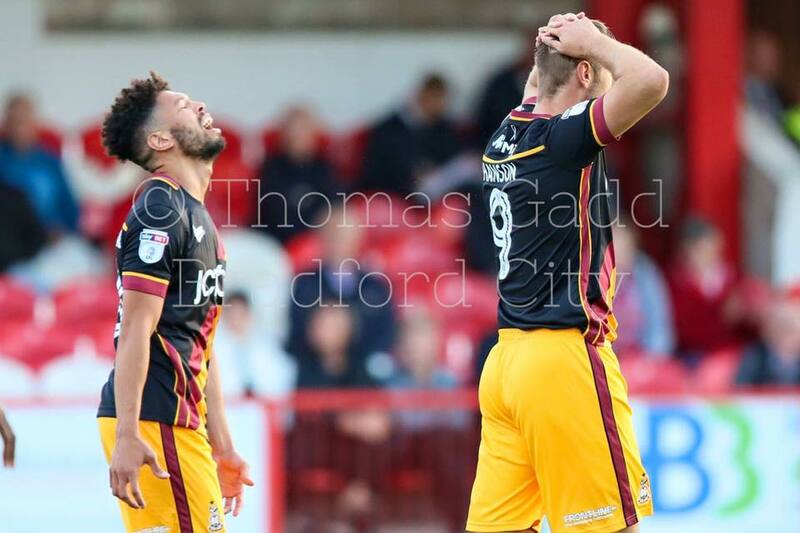 It’s only two games into the season, but Bradford City are showing symptoms of their major problem from last season – putting the ball in the net. Two games, two dominant performances, but nothing to show for it is causing some concern. Last season there were two reasons for a lack of goals. One was that City, in part due to Phil Parkinson’s more defensive style of play, didn’t create a huge amount of chances – around 10.5 shots per game, which put them firmly in the middle of the division. The quality of chances created also wasn’t fantastic for a promotion-chasing side – the Experimental 3-6-1 analytics blog gave City an “expected goals” rating of 1.3 goals per game, again firmly in the middle of the division. This defensive style did have some major benefits though – only Burton Albion conceded fewer shots per game than City, and only four teams – one of them, remarkably, being Colin Doyle’s Blackpool – faced more shots per goal conceded. This was the main strength of Phil Parkinson’s teams, and from the evidence so far it looks like this defensive strength, despite a major injury crisis, remains. Stuart McCall’s arrival as manager has heralded a new, more expansive style with more of the midfield committing forwards and creating, and in the two games so far City have both dominated territory and taken a total of 39 shots on goal. It’s good to watch, and the players seem to be enjoying the style, but it isn’t being any more productive going forward than last season. As a result, attention has turned to the other reason for not scoring – taking chances. This was a problem last season as well – City scored a goal once every 9 shots, the 16th best record in the division. This compares with Millwall and Wigan, who had the best record, scoring once every 6 shots. Going back to the expected goals rating mentioned earlier, City were projected to score 60 goals from the chances created. They scored 55, and those 5 goals could’ve been the difference between automatic promotion and a playoff place. This season it seems, if anything, to have got worse. While the Vale game was characterised mostly by dominance of territory but few very clear chances; against Accrington, City had enough good opportunities to get four or five goals, with Nicky Law, Nathaniel Knight-Percival and Mark Marshall particularly culpable for not even making the keeper work. Jordy Hiwula also could’ve done better with a couple of shots, although he did force the Accrington keeper into some good saves. This is a more difficult problem to solve. It may be that the likelihood of creating more chances allows players like Billy Clarke and James Hanson to fire, and that the relative scarcity of shots last season meant that players snatched at their chances when they got them, but it could also be that with the frontline we have at the moment, the side will never be clinical. Hiwula looked a promising addition on Tuesday night but can’t do it all himself, while arguably the most clinical finisher from last season, Steven Davies, has been released – a decision justified by his injury record. Of course, this may all be needless worrying – this time last season our defence looked as leaky as a colander and Nathan Clarke looked like he barely knew how to defend, yet by the end of the season he was a rocklike presence in a record-breaking back line. The difference is, however, that we were always confident that Phil Parkinson would sort the defence out, whereas since the departure of Nahki Wells we’ve had major problems taking chances. This puts a lot of pressure on City to recruit well in what remains of the transfer window. McCall and the board have been chasing strikers, in some cases quite publically, but have failed so far to land someone. It is vital that we get this recruitment right – a clinical forward could be worth 10 extra goals to this side with the number of chances being created, and that could be the difference between a promotion charge and a season that fizzles out in March. The goals will come …. very frustrating to see chance after chance go begging. What we must not do as fans is start getting on the backs of players for missing chances. It only makes them more anxious when striking the ball at goal. 2 games in unbeaten in 2 games 90mins. I don’t know how accurate this piece of information is … but I’ve heard the young striker from Manchester United James Wilson will sign for 6months loan very soon . I imagine Wilson would almost certainly be on loan at a Championship side. At the minute its not a problem for me since we are only 1 week into the season. If we get to 1 or 2 months and the transfer window is closed and we are still struggling then it might be time to worry. Keep calm and believe in McCall. The club have made no secret they’re actively seeking a striker and one that’s right for the team. We must be patient. Fans tend to get frustrated when we see teams like Peterborough tabling bids of £1.7m for a striker and some seem to think that we’ve got the same money to splash out on a player despite the board never actually stating how much money SM has at his disposal to spend on a striker. And why should they? It only alerts clubs to sticking another couple of zeros on to the price tag. Lets look at the glass half full. We’re playing free flowing, attacking football. Something many fans were crying out for last season. Okay we might not have actually scored a goal yet, but the season is ONLY TWO GAMES OLD and the team are still getting used to the new style and approach. We also have a number of players out of the team who will only improve our overall performances, so it’s not a time to panic. It’s an old cliche and a true one, but its not how you start a season – its how you finish it. Just ask an Accrington fan. As long as we’re creating chances then the goals will come. Last season it was frustrating because you knew we needed to score because the chances being created were so precious and thin on the ground. I’d hark back to the season we were promoted to the premiership. Before a ball had been kicked in anger, some fans were calling for Jewel to go after and indifferent end to the previous season, which was marked with a low point 0-5 defeat at Crewe. Those voices grew louder when we started with a home loss to Stockport and some fairly indifferent performances in the following games. It wasn’t until we played West Brom in September that it all clicked and the confidence that had been missing before was evident. And look where we finished from where we started. Lets not write off the season after just two games, otherwise it’s going to be a long, long time to May. Hear hear. Been really encouraged so far. Trust in sm and be patient if things don’t immediately go to plan. 98-99 is a good reminder. Steady on Wolfy. 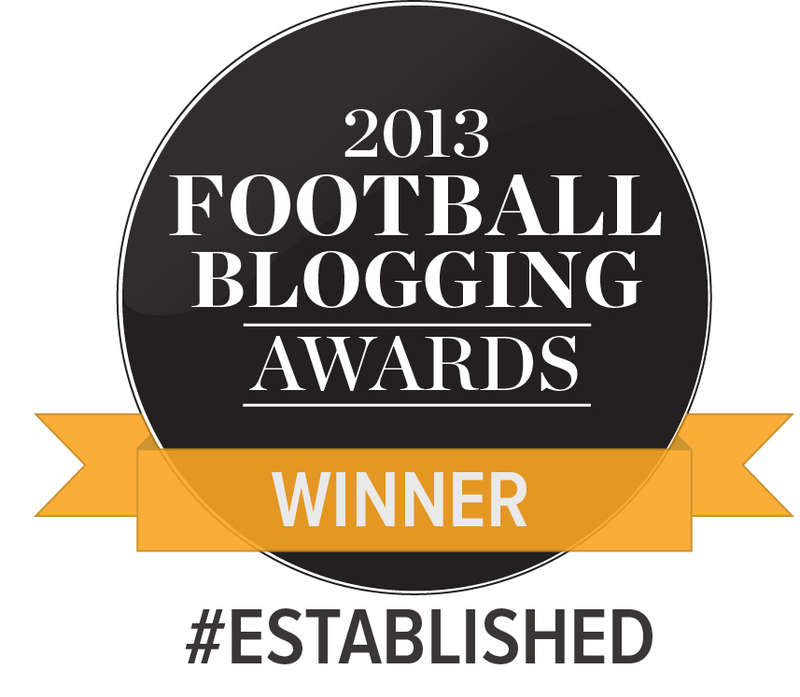 Talking sense on a football blog? Are you mad! In the friendly games he played Mourais has a striker and he did quiet well, scoring a couple. May be worth a punt. Crisis? What crisis? Today’s result puts all of the hand wringing over the last week into perspective. I’m not suggesting in the weeks and months to come we will always score, but like politics, a week is a long time in football.